Introducing children to the theater is a great way to develop a love of the arts and will expose them to different cultures, beliefs, and points of view. Also, performance arts may increase vocabulary and enhance listening skills. Check out the theaters below to find a great performance that you and your family are sure to enjoy. Know of any locations that should be included in this list? Please submit the details here, and we’ll get them added. This beautiful and historic 1920's entertainment facility in Downtown Akron caters to all types of entertainment, from local and regionally produced entertainment, to national and international touring productions. Access to the lobby is available one hour prior to curtain time and the seating area 30 minutes prior to the start of a performance. The Ashtabula Arts Center is a nonprofit, multi-arts facility established to preserve and promote the arts through education and entertainment. They feature dance, theater, music, and the visual arts. Classes and performances or exhibits are held in each discipline. Sensory friendly performances also offered, along with writing classes and more. Currently, the ACT presents four shows per year: Fall, Winter, Spring, and Summer. Typically, the summer offering is a more youth-oriented production and provides an opportunity for a truly intergenerational show. A Children’s Theatre Workshop is also offered during the late summer with a hands-on instructional emphasis. Professional, eclectic theater on two stages with a wide variety of titles to suit all tastes. Beck Center for the Arts offers more than 200 classes, lessons and award-winning programs for all ages and abilities in dance, music, theater, visual arts, early childhood, and creative arts therapies. The Boardman Performing Arts Center is a state-of-the-art facility showcasing music, arts and culture that many people have the privilege to enjoy year-round. Hosting more than 300 events (movies, concerts, comedy shows, dance performances, wedding ceremonies and receptions, private parties, fundraisers) every year. Their average annual attendance draws more than 100,000 guests and is an important part of Canton's future. 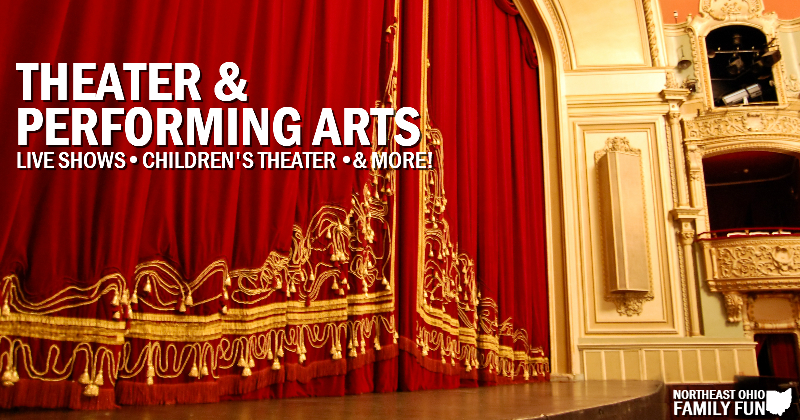 Providing plays, musicals, youth theater education and special events to Northeast Ohio since 1930. CVLT is one of the nation's oldest community theatres, offering year-round entertainment. Cleveland Public Theatre is known as one of the nation's leading experimental & political performance venues, sponsoring much dance, music, poetry and performance art as well as theatre. CPT sponsors several multi-cultural ensembles and functions as an artistic home for scores of self-producing artists. Their mission is to premiere the best contemporary plays by established and emerging playwrights in professional productions of the highest quality. Through educational and outreach programming, Dobama Theatre nurtures the development of theatre artists and builds new audiences for the arts while provoking an examination of the contemporary world. Providing family entertainment and education for more than 35 years. Garfield Players believes a play should give you something to think about. With three locations, this theatre provides arts education and performance opportunities to people of all ages, backgrounds, and abilities in a celebration of the power of art to inspire, transform, and elevate the quality of community life. Visit www.geaugatheater.org for up-to-date information on main season productions, auditions, special events, class performances, drama, music, visual art education and more. GLT features a resident company of artists, bringing the world's greatest plays to life each season from September through May in its revolutionary home at the re-imagined Hanna Theatre, PlayhouseSquare. The company also presents the region's annual production of A Christmas Carol at PlayhouseSquare's Ohio Theatre. Located on the east side of Cleveland, Heights Youth Theatre is committed to providing quality children's theatre for more than 50 years. For countless numbers of children, Heights Youth Theatre is a child's first exposure to live theater. It has been a place where young people from kindergarten through the 12th grade from the inner ring suburbs of Greater Cleveland and beyond enjoy a safe, nurturing environment and a cooperative learning experience as they work together to mount a production. Independence Community Theater puts on 3 shows a year and holds a summer camp for kids. If you're interested in being on stage, you can audition for a show. If you'd rather come see a show, performances are held at the Independence Old Town Hall located in the center of Independence. Karamu House serves as an inclusive institution for Clevelanders of different races, religions, and social and economic backgrounds, as well as a trusted community resource for local families. They produce professional theatre, provide arts education and present community programs for all people while honoring the African-American experience. More than 336,000 guests have entered these doors since it opened in 2010. The center has successfully hosted numerous concerts, Broadway tours, family shows and dance concerts as well as weddings, fundraisers, conferences, banquets, trade shows and private meetings. It boasts an impressive 50,000-square-foot center, two-level lobby with seating for more than 350 guests, a multipurpose rehearsal room, dressing rooms, classrooms and 1,100-seat theatre. This is the only professional resident and touring Theatre for Young Audiences in Northeast Ohio. Magical Theatre Company has attracted designers, actors, producers and directors whose credentials have been established from Broadway to Hollywood. Programming is made up of resident performances at the Park Theater for school and family audiences; touring productions to schools; and educational programs that include workshops, residencies, after-school programs, summer camps, and resource materials. Based in the Gordon Square Arts District in the Detroit Shoreway neighborhood of Cleveland, Near West Theatre has a unique identity as a grassroots, intergenerational theater with an emphasis on serving youth. North Canton Playhouse offers live, quality entertainment and a variety of productions and programs that allow opportunities and enjoyment for all. Olde Towne Hall Theatre is an award winning community theatre located in North Ridgeville. They present affordable, high-quality theatrical productions for the entertainment and enjoyment of the community of North Ridgeville and surrounding area. Olmsted Performing Arts’ mission is to instruct, develop, and advance acting, music, dance, and gymnastics skills, to educate and positively affect all individuals involved in the organization, and to motivate staff, students, and volunteers to work at their best ability. Offering quality and affordable entertainment in a safe environment. The Players Guild Theatre is recognized as one of the oldest continually operating volunteer-based theatres in the nation. Today, the theatre is operated by a professional staff and a Board of Directors and presents world-class productions and outreach opportunities for the community. The Children's Theater Series at Playhouse Square is the perfect way to introduce the amazing world of live theater to the children in your life. Porthouse Theatre is Kent State University's summer professional theatre and is located on the grounds of Blossom Music Center in Cuyahoga Falls. The theatre provides a unique training opportunity for actors, designers, technicians, and managers, working side by side with established professionals to refine their skills and talents. RRCAA provides instruction in music, dance, visual arts, and theatre, and also operates historic Rabbit Run Theater, one of Ohio's remaining barn theatres. They offer year-round instruction in all major disciplines of the fine and performing arts. 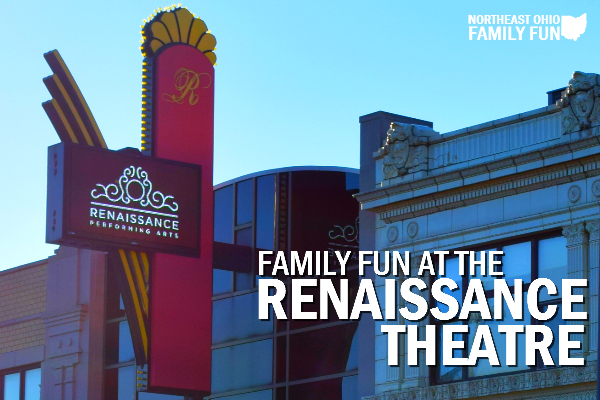 The Renaissance Theatre of Mansfield is a live events venue for live theatre, music, comedy, and more. The Salem Community Theatre provides instruction in the theatre arts, live performances, and a number of community outreach programs. Talespinner Children's Theatre develops and produces highly imaginative, original, collaborative and interactive professional works for children that also stimulate creative growth in its artists. These pieces involve acting, dance, music, puppetry, and numerous other artistic disciplines, and are open to all creative possibility. Fosters enrichment of the performing arts throughout the community and presents and produces a wide variety of quality live theater productions several times each year. They also offer a scholarship program. From classic dramas and slapstick comedies to modern Broadway musicals and whimsical family fare, The Cassidy Theatre offers exceptional entertainment and artistic opportunities to the diverse and multigenerational audiences in the area. Offers youth theatre classes and workshops. A place to learn, create, enjoy and appreciate the arts. From ballet and portrait painting classes to piano lessons and theatre classes, The Fine Arts Association educates thousands of students in the arts each year. They also present a full season of live performances and concerts at very reasonable prices. Offering educational and live theatre classes for kids ages 5-15. Through performances, residency days, and theater school classes, The Illusion Factory reaches more than 50,000 children each year. This small concert venue hosts approximately 150 concerts a year, including the Kent Folk Festival, the Kent Blues Fest, Kent Reggae Fest, the Kent State Around Town Music Festival, film festivals and numerous plays. The Kent Stage can also be rented for events including weddings, wakes, birthday parties, movie screenings, corporate training, government meetings, community theater, school activities, ghost hunts, lectures, movie filming, fundraisers, Earth Day events, and of course concerts. Contact wrfaa@yahoo.com to discuss. This is the oldest ongoing community theater in the nation! The Youngstown Playhouse has always strived to honor the classic theatre works by reintroducing them to the public and also introducing them to a new generation of theatre-goers. They also try to stay as current as possible with new works by new artists from all over the country. They are solely supported through ticket sales. TNT strives to develop and maintain an amateur theatre in which people are given the opportunity to develop an interest in the performing arts. This community theater is open to everyone.